Om nom nom. The Milky Way has been busy gobbling up galaxies early in its life, according to a new study published on arXiv. As picked up by New Scientist, the team led by Dr Diederik Kruijssen at the University of Heidelberg in Germany looked at a catalog of 61 massive globular clusters in our galaxy. These are dense groups of about a million stars that are found throughout galaxies. From these, they were able to look into our galaxy’s past, which dates back about 13.5 billion years, compared to 25 simulated versions of our galaxy. By measuring the age and metallicity of the clusters, specifically how many heavy elements they have, we can see where they came from. Our galaxy likely formed these metal-rich galaxies early on, which means it must have eaten larger galaxies in its first few billion years, up to 12 billion years ago. But the presence of 35 less metal-rich globular clusters suggests it later ate another three galaxies, one of which – a dwarf galaxy – it is still eating. “The total number of 15 mergers [plus or minus three] is consistent with previous estimates,” the team noted in their paper. This isn't the only recent news about globular clusters. In the Monthly Notices of the Royal Astronomical Society last month, scientists suggested that globular clusters may be no more than 9 billion years old – which makes the timings for this more recent study a bit tricky. 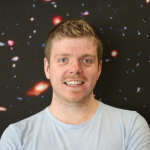 “If true, it changes our picture of the early stages of galaxy evolution and where the stars that have ended up in today’s massive galaxies, such as the Milky Way, may have formed,” Dr Elizabeth Stanway from the University of Warwick, the study’s lead author, said in a statement. However, speaking to IFLScience, Dr Kruijssen said that Dr Stanway's study applied to more distant galaxies, and therefore did not affect their results. "The globular clusters in the Milky Way, which our study focuses on, are so nearby that their ages can be determined by looking at their stellar content on a star-by-star basis," he said. "The major effect advertised in their press release only affects the globular cluster populations of other galaxies and does not apply to the globular cluster system of the Milky Way." Working out exactly how galaxies like ours formed is difficult, but we’re starting to paint a better picture. Who knew other galaxies were so tasty?